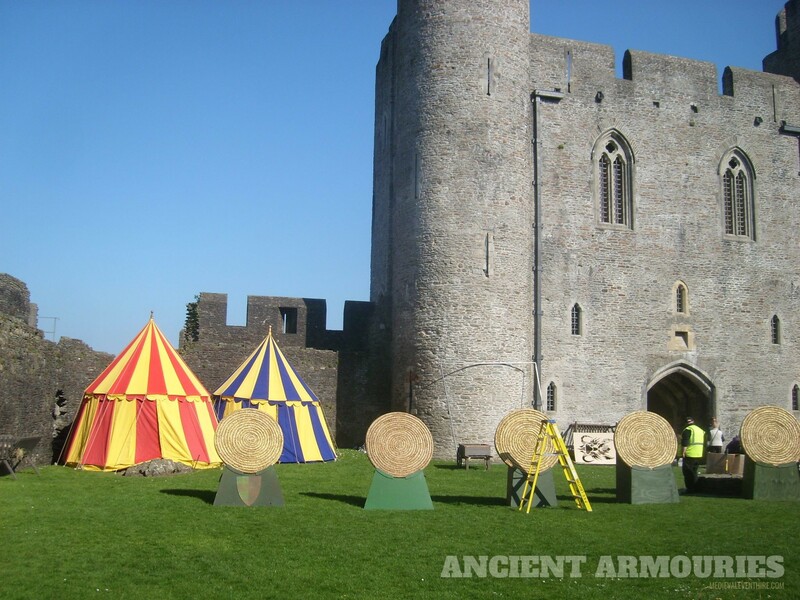 We provide period tents in a wide range of sizes and colours and can supply for hire from our extensive stocks. 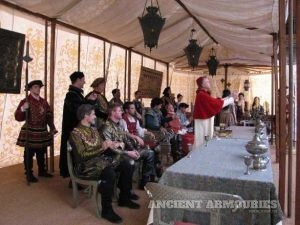 Please contact us with the requirements of your event. 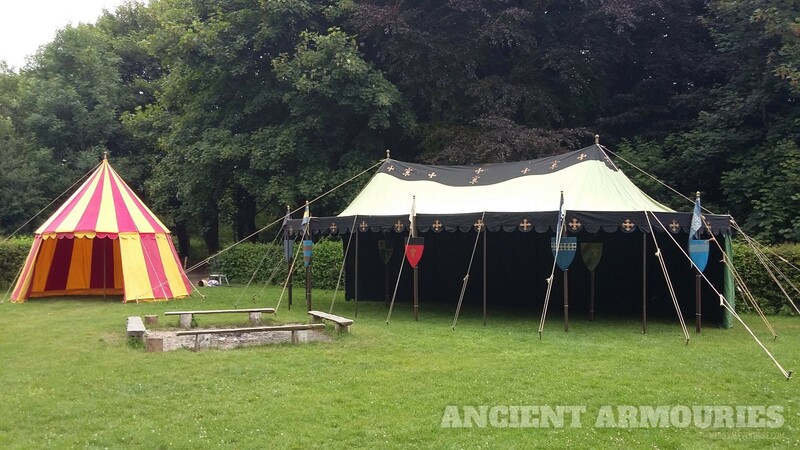 Tent interiors can be equally as impressive. 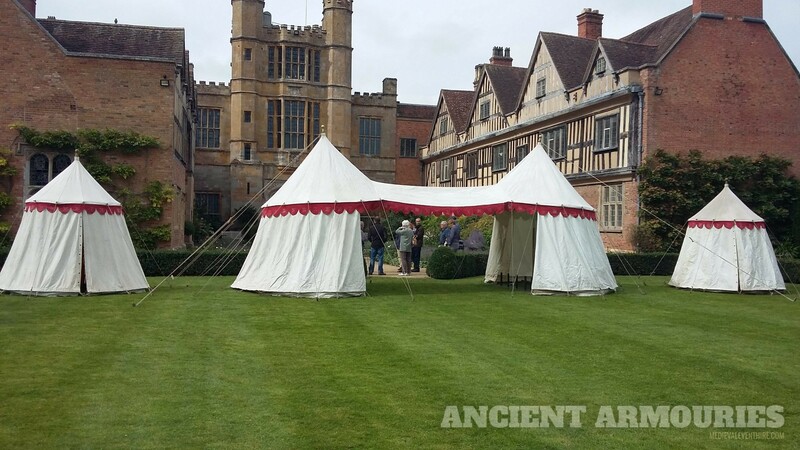 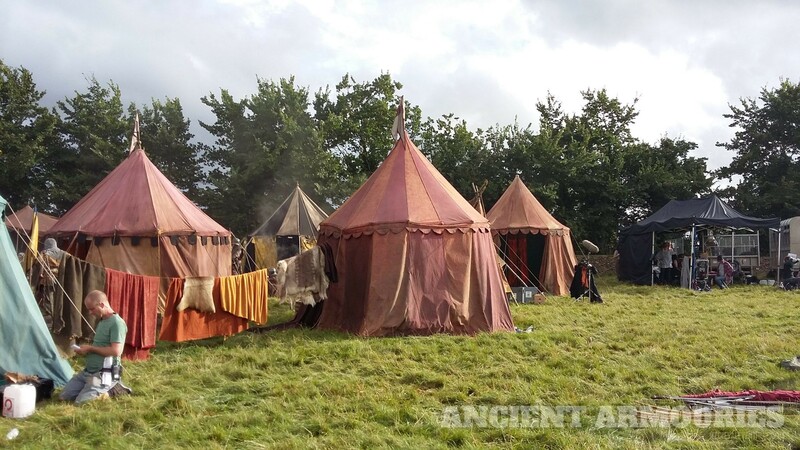 Here is one of the tents we supplied for the filming of “The Tudors” BBC TV series.